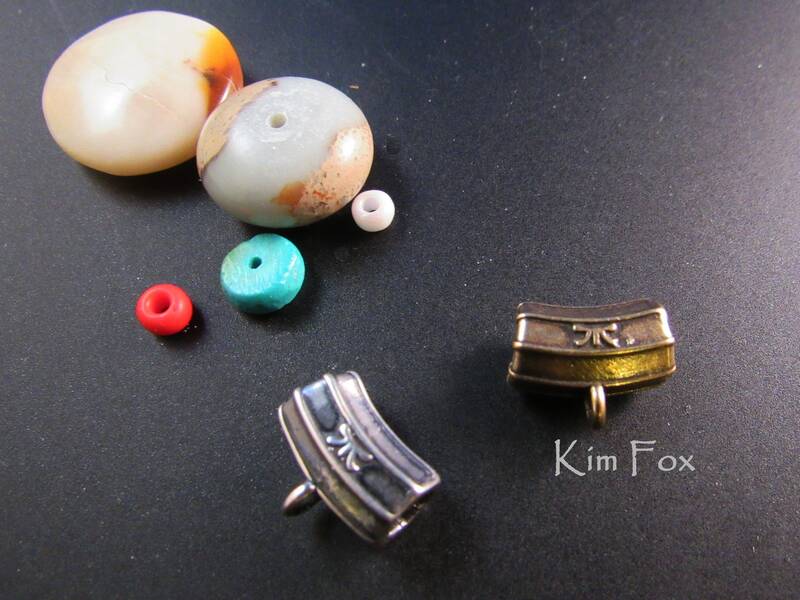 Curved bail 1/2 inch or 12 mm long with 4 mm opening perfect for hanging pendants, charms or connecting parts of jewelry. Use it with kumihimo, stringing, leather cord, silk, linen and other cord. Protects the piece of jewely from wearing. 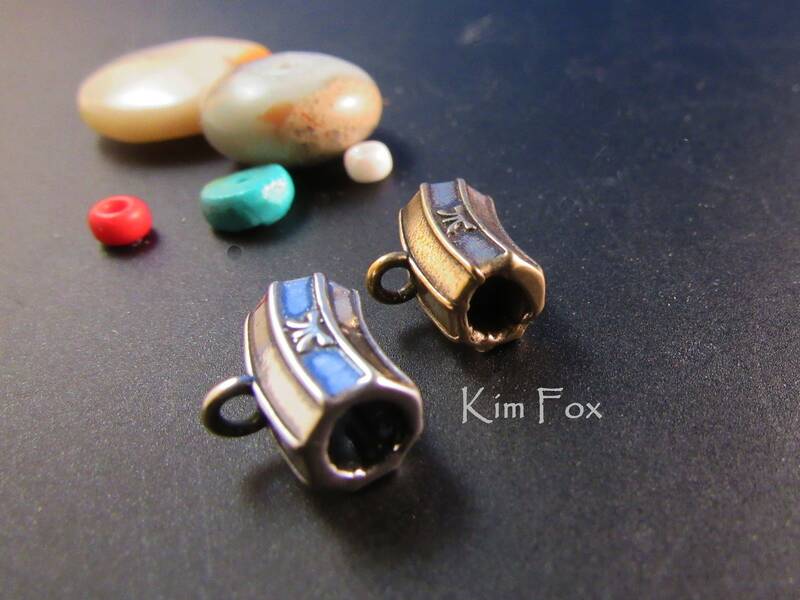 Their are cones with the same octagonal pattern in Kim Fox Jewelry Store. The bail is lost wax cast in New Mexico of solid silver or golden bronze.